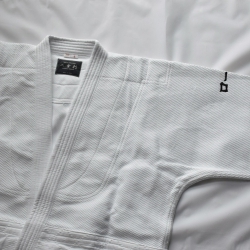 For the SHIHAN (Instructor), and for the high graded people. 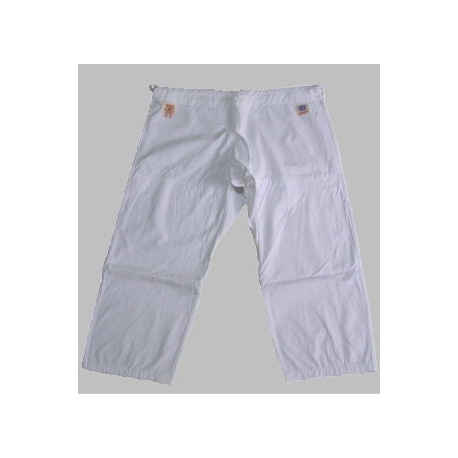 This Aikido pants is strong and comfortable, So it is a the best quality cotton 100%. 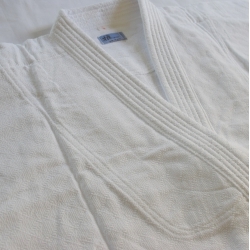 It is double cloth on the knee, and the cloth of the inside is soft. It is robust and durable. you do not need to worry about rubbing the knee skin. - There is a gusset at inseam. You can move freely and the pants keep these shapes. 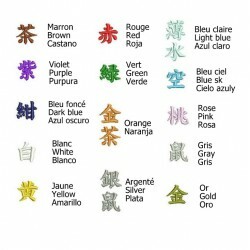 - Because the drawstrings are sewed on both side, it is very robust and durable. 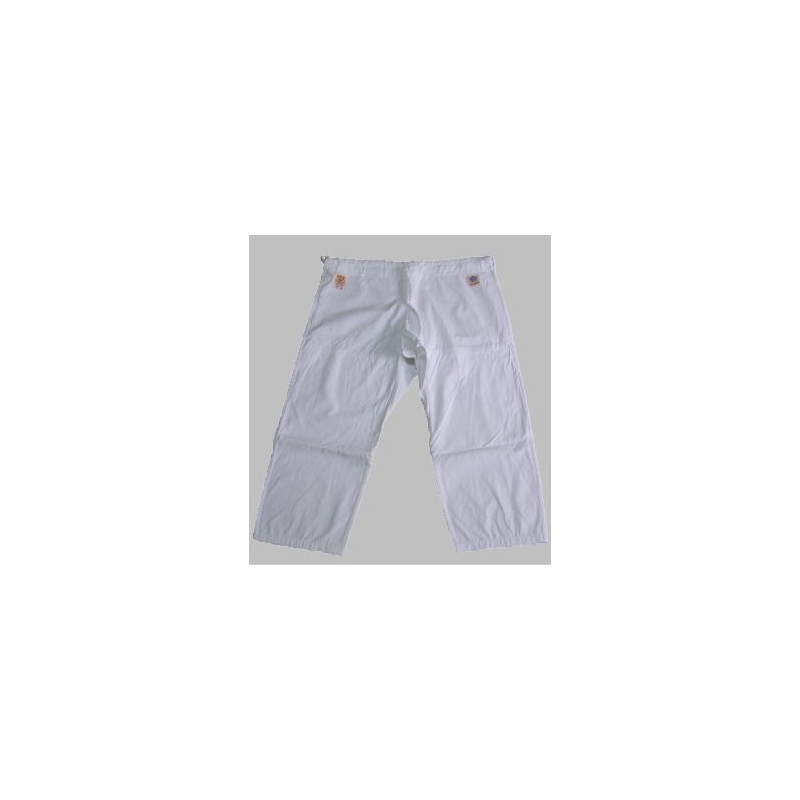 - Stitching on the double at the pants' hem is not thick; it will not bother you durign your training. 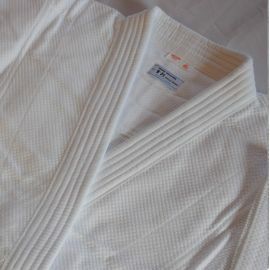 - This uniform set is bleached but please, wash them before you use!!! 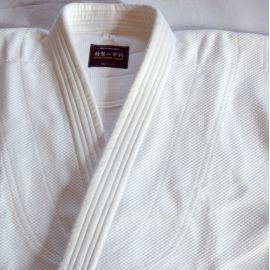 Or your keikogi size will be a little too big to practice aikido. 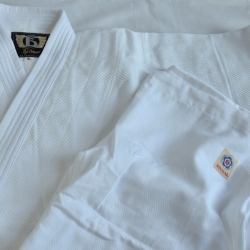 Keiko gi IWATA were created for Aikidoka for over 100 years. 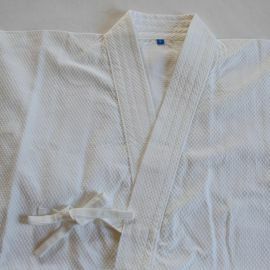 Doshu and Shihan AIKIKAI use also Dogi IWATA. cool water under 30 degreeat maximum for not making shrunk or damaged due to hot water. Put it open wide for quickly drying. at maximum for keeping the good condition of cloth.